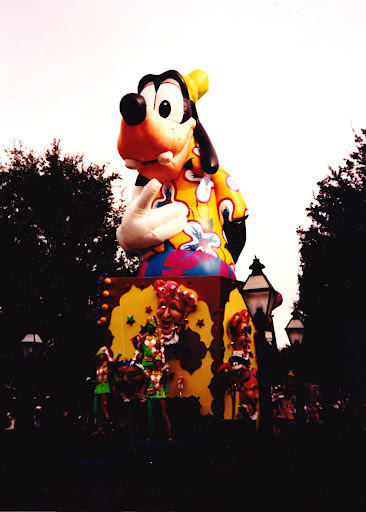 Disney in Pictures -- Magical Parades! Hello everyone! 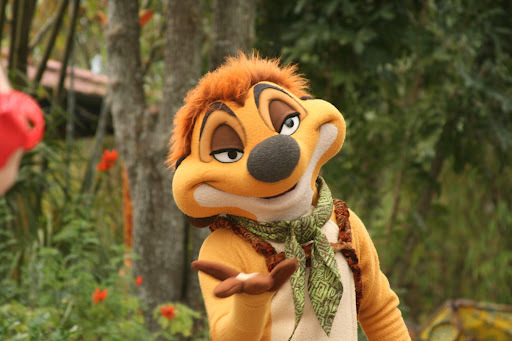 Welcome back to another edition of Disney in Pictures! 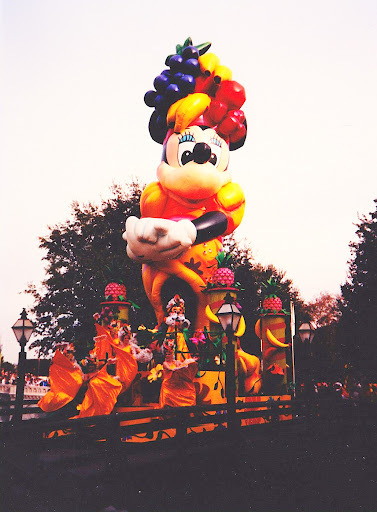 This week, we are taking a look at our favorite pictures from all of the terrific parades that Walt Disney World (and other Disney parks) have to offer! As always, I’ve opened it up to my readers and fellow bloggers, so I will be sharing their wonderful pictures as much as my own. Sit back, relax, and enjoy this week’s edition, and thanks for reading! I’m sending a picture of Cinderella in her royal coach from The Spectro Magic Parade. I love Spectro not only for the incredible photo ops it provides me but the tingles up my spine whenever I hear the music and see the ornately decorated floats parade up Main Street, USA. I have hundreds of parade photos, but mostly from the last three years. 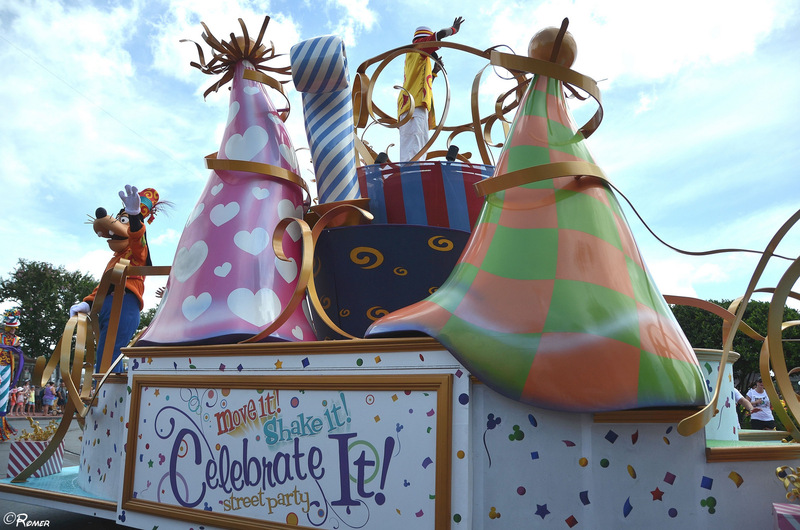 But…here are some from the 20th Anniversary Parade: Surprises! I took these long before digital cameras so the quality is not the best. I loved this parade. Hope you enjoy them, too! Hey Mike! I may be too late with my parade pics, but here are 2 from Mickey’s Jammin’ Jungle Parade in February 12. This was the first time I had seen this parade, ever! Crazy huh!? I loved it and despite the dreary weather, I was able to get a few fun shots!! This was our first trip that we weren’t back at the resort for one or two of the kids to take naps during the afternoon parade. We had a perfect viewing spot in Frontierland, and the kids loved the Celebrate a Dream Come True Parade. It was Extra Magic Hours at Magic Kingdom. We were finishing up our morning touring plan, having lunch at the “Columbia Harbour House” restaurant. We were going to just head straight out of the park to avoid the afternoon crowds until we heard really loud music and a wonderment of colours in the distance. My daughter was drawn to it, as we followed quickly to be part of the most FUN street party EVER…… the “Move it, Shake it, Celebrate Parade! !” It was hot, but worth staying for with all the great characters and street performers having the time of their lives cheering up the crowds. My favourite character of the parade that day was Lumiere. He totally “lit” up the street. I wish you could see all the photos we took of him because he was “shaking it” like there was no tomorrow!! We literally walked into this pulse-pumping Disney Dance Express during the first minutes of our very first visit to this park. We thought it was a welcome party just for us!! The beginning of the Disney Dance Express parade! While I’m at it, if you haven’t seen it, I urge you to check out the special series of posts that are being hosted over at DISTherapy. Much like they did with the 40 Days to 40 Years project for the anniversary of the Magic Kingdom, they are now doing the 20 Days to 20 Years project to celebrate the 20th Anniversary of Disneyland Paris! To see the whole series, click on her button below! I love Disney night parades; my kids have never been big parade watchers at all. That’s been disappointing. Even when they were young and in strollers, they preferred to go get in line for a ride rather than sit for a parade. We all hate waiting, so the last thing we ever do is go early to get a seat for anything, especially a parade. But, like me, they are huge Disney music fans. We have most of the park songs on CD, and I bought an MP3 player just to listen to YouTube videos converted into MP3s. My kids love listening to Disney’s Main Street Electrical Parade music the most, which was my absolute childhood favorite. When I hear it now, I am eight-years-old again. As the years have gone by, if my kids hear the parade coming through the park, they started asking to go watch a bit. So I accomplished exactly what I wanted, without having to do any nagging at all. That’s worth the cost of a CD. Her picture is of my favorite parade at Walt Disney World: The Main Street Electrical Parade. As for me, I have some photos I’d like to share with you. I have some from the Main Street Electrical Parade, I have some from Spectro-Magic, and I have some from the Main Street Family Fun Day parade. Enjoy! Tinkerbell leads the way at the Main Street Electrical Parade! 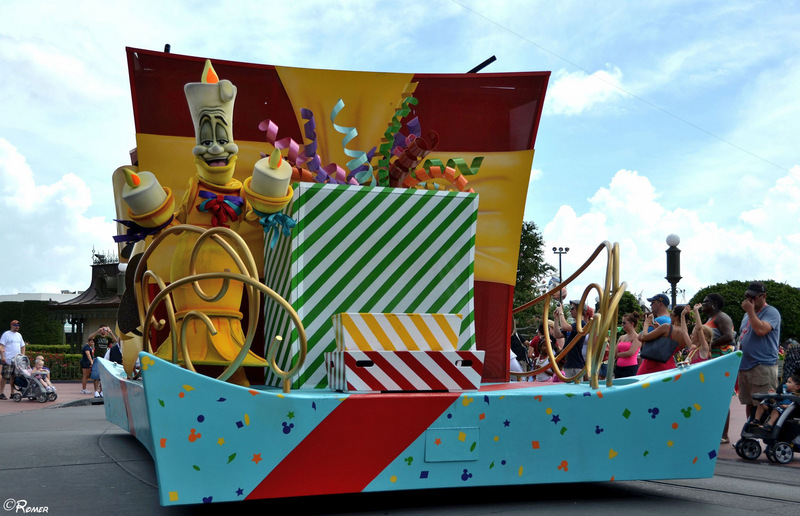 Cindy’s favorite Daisy Duck — that Sassy Duck Herself — leads in the Main Street Family Fun Day Parade! As always, thank you to all of you that contributed to my post this week! I love seeing your photos and including your thoughts about them! Look for the theme for next week announced on Wednesday, and thanks for stopping by! Love the shots! Sorry I did not send any. Got sick and lost track of everything I had on my to do list. Thanks so much for the shout out Mike! yea!! What fun pictures and such a great idea for a Sunday post!! I love it! Thanks everyone for participating with me everyone! The post is only as good as your pictures, I love sharing mine, but when you all add your pictures to mine, it really makes it memorable! Thanks! Awesome Pics, I just love all the Disney Parades..
Makes me want to plan for a Disneyland trip very soon! Thanks for sharing. This is super awesome! I so love Disney!!! So love these pictures! Awesome post. I am dying to take a trip to Disney! Love your post. Thank you Drew! Do you follow my fan page on Facebook? If so, look for next week's theme tomorrow! Thanks for reading! Thanks Meg! So far my exposure to Disney is all at Walt Disney World, but I'm hoping to take my family to Disneyland next year! Would you be interested (or anyone else reading this comment, for that matter) be interested in writing about Disneyland? Thank you Leddah! This is a special post in that a lot of my readers are the ones submitting these incredible photos! It is so much better having that participation. Do you have any photos you want to share? If so, look for more information on my fan page tomorrow for next Sunday's theme! Thanks! Previous Post: Posting over at Mouze Kateerz! 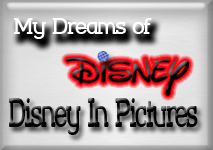 Next Post: Get Ready for the next Disney Mom’s Contest!